Saudi Arabia’s Crown Prince Mohammed bin Salman will arrive in Egypt on Monday for a two-day visit, part of a tour of several Arab countries, Egypt’s presidential palace said. The prince is expected to hold talks with Egyptian President Abdel-Fattah El-Sisi to discuss bilateral relations. 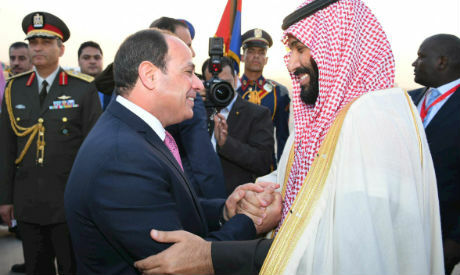 El-Sisi’s spokesman Bassam Rady added that "means of boosting cooperation in various fields as well as political issues of common concern within the strategic framework between Cairo and Riyadh," will also be discussed. The Saudi royal visited the UAE on Thursday and travelled to Bahrain on Sunday. He is expected to visit Tunisia on Tuesday, following his stay in Egypt. At the end of the month, he is also expected to participate in a G20 meeting in Buenos Aires, which will be attended by other G20 state leaders, including those from the United States, Turkey and several European countries.